Why would I need self storage in Minnetonka, MN? There are a variety of reasons why you might need self-storage in Minnetonka, MN. How much is a storage unit in Minnetonka, MN? The cheapest storage unit in Minnetonka, MN is $27.00 per month. What size storage units do you have available in Minnetonka, MN? In Minnetonka, MN we have sizes that range from 4'x5' to 10'x30' to suit your storage needs. How much is it for a 4'x5' storage unit in Minnetonka, MN? The cheapest 4'x5' storage unit in Minnetonka, MN is $27.00 per month. Minnetonka is a thriving suburban city in eastern Minnesota, located just 8 miles from Minneapolis. 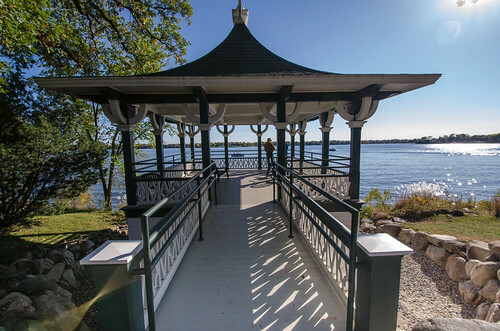 A small part of the city is covered by a corner of Lake Minnetonka, one of Minnesota's largest lakes. The city is home to a number of large businesses, which are the foundation of its thriving economy. Minnetonka's first settlement was established in 1852. The area was home to the only saw mill west of the Mississippi and soon welcomed a major furniture factory that would become the largest business center in Hennepin County. Most of the area's early settlers were immigrants from northern Europe, the British Isles and Bohemia, as well as people from New England and areas east of Minnesota. Between 1960 and 2000, the population of Minnetonka doubled from 25,000 to approximately 50,000. Interstate 494 brought major commercial developments to the area, and in 1968, the village of Minnetonka officially became a city. Minnetonka is home to a growing economy that houses major corporate headquarters for Cargill, United Health care, AmeriPride Services, Carlson Cos. and more. Cargill is among the nation's largest private companies, while United-Health care is one of the largest publicly-owned corporations. Many large employers from a variety of industries provide a variety of jobs in Minnetonka. Among the city's major employers are UnitedHealth Group, Cargill, Emerson Process Management, Starkey Laboratories and SuperValu. Minnetonka students attend Minnetonka Public School System #276. Alternatively, you can enroll your child in one of the city's private schools, including parochial schools for grades kindergarten through 12. Utilities: The city provides water and sewer services, while energy is sourced from Xcel Energy (electricity) and CenterPoint Energy (natural gas). Garbage and Recycling: Minnesota has an open garbage system, which means that you choose your own service provider. There are no city-provided collection services. Transportation: The MetroTransit bus network provides services throughout the city. Pets: Each household is limited to five pets, whether they are dogs, cats or a combination. Minnetonka has a fairly high cost of housing, and homes tend to be more expensive than those in nearby Minneapolis. However, you can find homes of many sizes, styles and price points, many of which have been recently updated as the city grows and expands. There are also many options for rent, including large apartment communities, town houses and single-family homes. Our lowest priced units in Minnetonka, MN average $37.00 per month. 208 people have reserved units in Minnetonka, MN in the past 30 days. There are 4 locations within Minnetonka, MN's city limits. There are 4 locations in Minnetonka, MN that offer AC and Heating features.